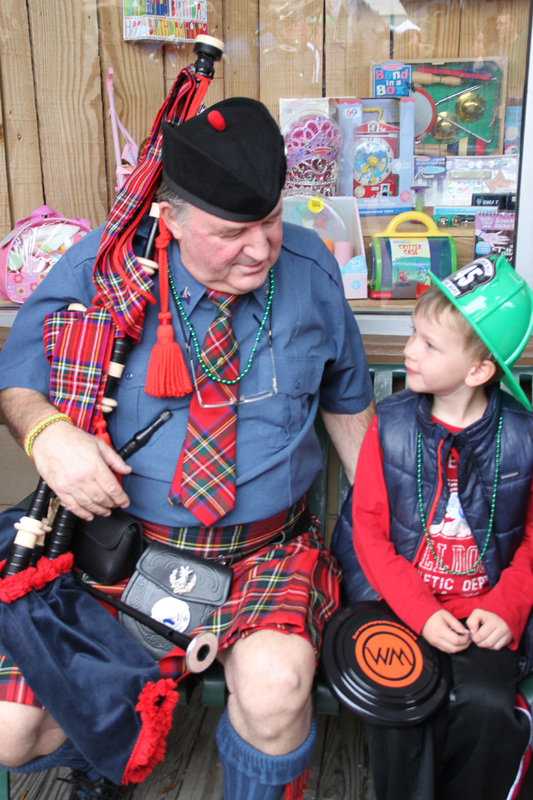 You're never too young to learn about piping! I am a professionally-trained Scots Guards bagpiper who is proficient in all aspects of the Highland bagpipes. I have been performing for special events (weddings, receptions, dinners, funerals, birthday parties, and more) in the Wilmington, NC area for the past 25 years. 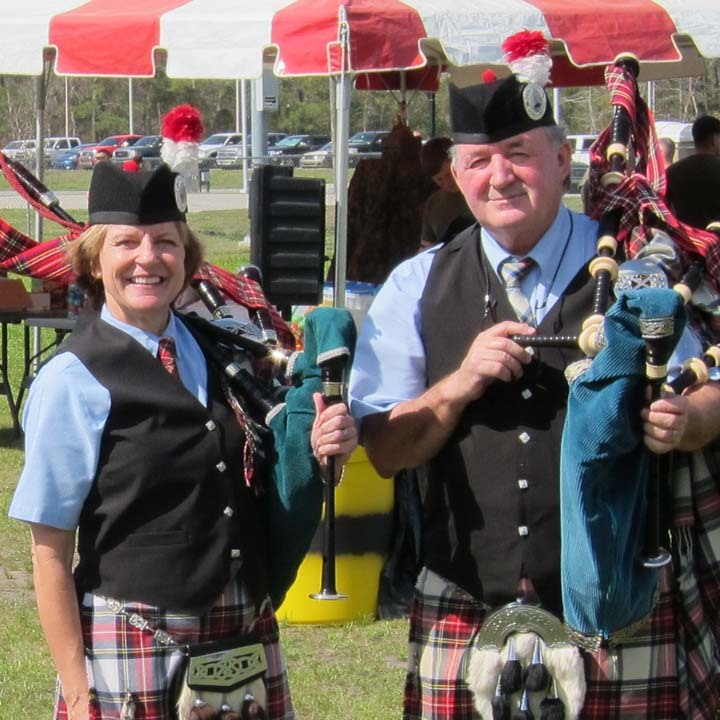 I am a professional open piper who is also the Pipe Major to Wilmington's Port City Pipes and Drums. Andy was at the funeral home early so he could check out the acoustics. He tuned his pipes in a side room and then played the prelude and postlude for the service. He also played Amazing Grace during the service, which was outstanding. We thank him for being there and making my Mother's service uplifting and memorable! Thank you so much for the kind words. I was honored to play for your mom and family. She was a powerful woman - a one in a million. I feel like I knew her and am privileged to be included in the celebration of her life. I look forward to our paths crossing again. 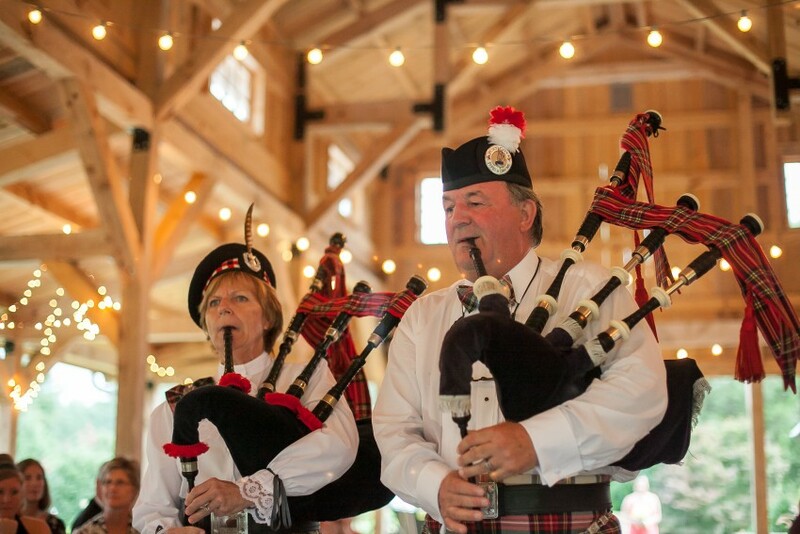 Andy and his wife played the bagpipes at a family wedding reception in Wilmington , NC. Andy was always so prompt and helpful in answering all my questions ! Words can't describe how beautiful the music was. It was a surprise for the bride and the music brought tears to her eyes as she arrived at her reception. It was truly magical. I would recommend Andy and his wife without hesitation. They were professional and talented and really put a special touch on our event. THANK YOU !! Andy and Ann brought an exciting atmosphere into our Pentecost Sunday worship which lasted all morning. Friendly and a true pleasure to work with from initial scheduling. Thank you for the kind words and opportunity to play for your congregation. We felt the energy in the air, also. Your church is truly amazing with the exceptional hospitality and warmth. We've already started spreading the word! When everyone heard the pipers they all turned and smiled. They just made Sean and Emilee's Wedding that much more special for them and all of their guest. And to hear the bagpipes playing as my son walked down the aisle in his kilt waiting for his bride brought a tear to many of our eyes. They were a wonderful addition to their ceremony. They exceeded my son's expectations and would recommend them to everyone. Bagpipes are a tremendous presence! Pipe major Andy Simpson is an outstanding bag piper as well as a gentleman. As he states it "you don't always get to meet people under the best circumstances" and in our case a funeral. Mr. Simpson was very sensitive to the situation, and knew exactly what to do and was in touch with the activities at hand. 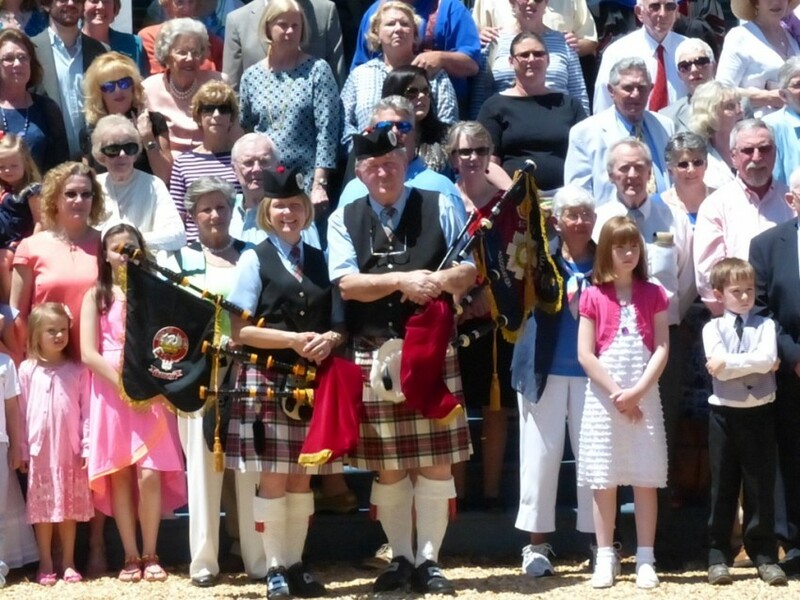 If you are considering having a bagpiper at an event, Pipe Major Andy Simpson is your man. We were blessed to have these amazing papers at my daughter's wedding. Beautiful, beautiful, beautiful! It was a pleasure to hear them play and made the wedding a truly unique experience for all the guests. Thank you from the bottom of our hearts for the amazing music! I play a variety of reels, jigs, strathspeys, marches, slow airs, and more. The event I'm hired for dictates the music I play. At funerals, the music is appropriate and usually, the tunes are suggested by the family. At weddings, I work with the bride (or wedding coordinator) to determine the tunes for arriving guests, the seating of the Grandmothers and Mothers, the bridesmaids, and the arrival of the bride. Joyful, happy tunes are played upon the pronouncement of the couple, and continue while the guests are leaving for the reception. I have, at times, led the bride and groom into the reception area with a resounding tune. Only a set of bagpipes can present such an enchanting grand entrance! At birthday parties, I have surprised many, many people on their special day. The looks on their faces are priceless! I am mostly requested because the guest of honor loves the pipes and my presence adds to the magic of the day. They also love my Scottish accent. I have also played for events where a "shock factor" is desired. Bagpiping is different and loud - it fits the bill. I was born in Scotland and served in the Queen's Regiment of the Scots Guards where I learned to play the bagpipes in the authentic tradition of the Guards - to become a ceremonial piper. Every year I return to my native homeland to re-experience the Scottish piping scene and to link up with bagpipe professionals for the latest information and tunes. I have been playing in Southeastern North Carolina for 25 years, celebrating hundreds of birthdays, celebrations of life, parties, and more. I also teach the bagpipes at a very reasonable price, students starting as young as ten. Experience has given me a huge repertoire of tunes for all occasions. 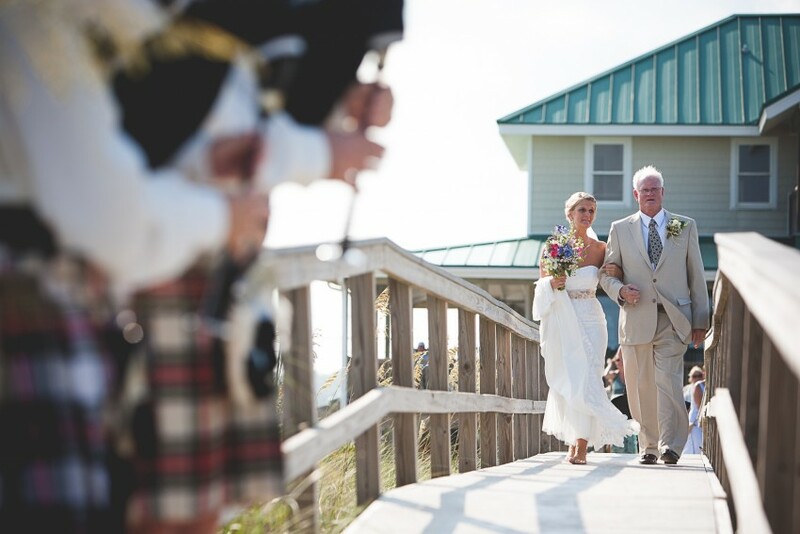 Bagpipes played at their best to make your special event the happiest day of your life. I don't need any sort of stage, electricity, sound system, etc. My pipes and I are a complete unit and are free to roam throughout any event.